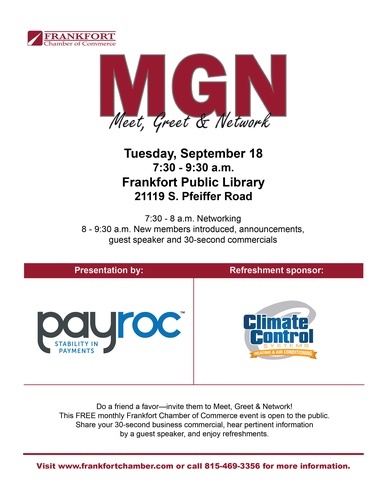 This FREE monthly Frankfort Chamber of Commerce event is open to the public. We will begin with networking until 8am at which time we will have a short educational presentation by Bryan Moberg, of Payroc. After that, we will welcome new members and then all members will be invited to share their 30-second business commercial. We will enjoy refreshments.